Written by Michael Justis on September 23, 2017 . Posted in Our Underwriters. Written by Michael Justis on April 14, 2017 . Posted in Our Underwriters. 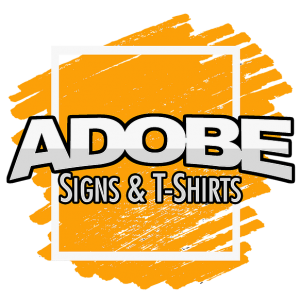 Adobe Signs & T-Shirts has been a long time supporter of KAGA-LP radio. Tshirts…and signs, vinyl banners, embroidery and more.